United has provided big performance in small spaces when it comes to our hobby houses. The GreenMaster is geared for the professional hobbyist and has available all the features and options of the larger houses. The Home Garden is geared for the hobbyist who is a serious gardener. This features many of the options from the GreenMaster with a less expensive profile. Our Backyard Hobby is hobbyed for the beginning hobbyist, ready to venture into the fun and satisfaction that comes from self gardening. 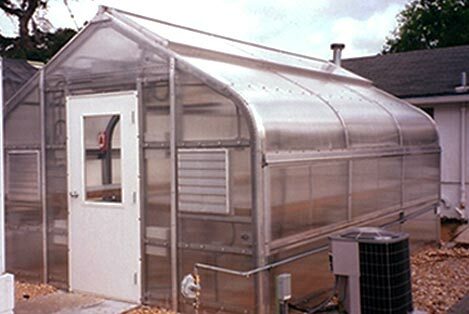 This 12" x 18' Greenmaster features motorized roof and sidewall ventilation, is outfitted with small fans and shutters, and covered with multilayered polycarbonate. 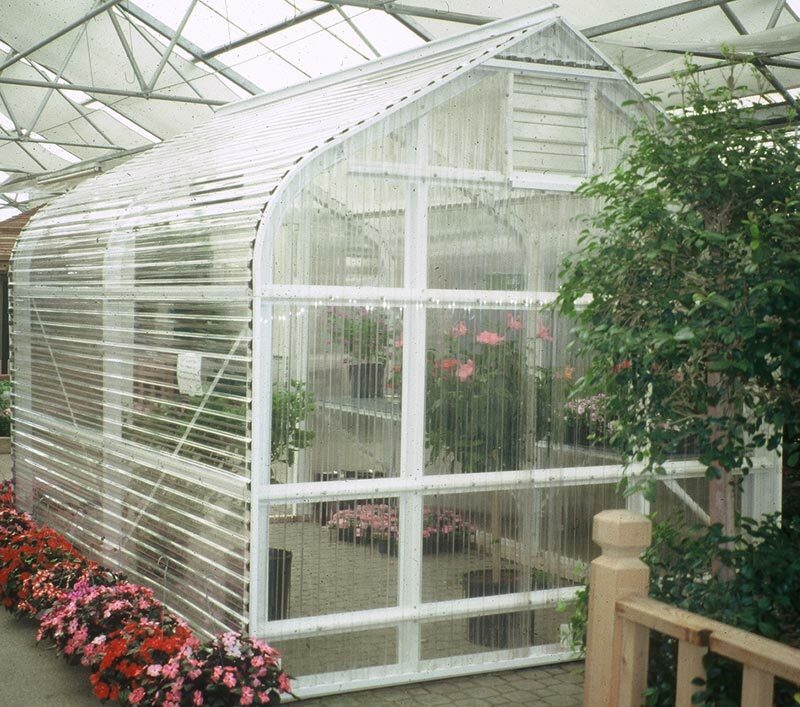 The small GreenMaster has a double layer poly sidewall option with a multilayered polycarbonate endwall. The structure is powder painted white for an aesthetically pleasing look. 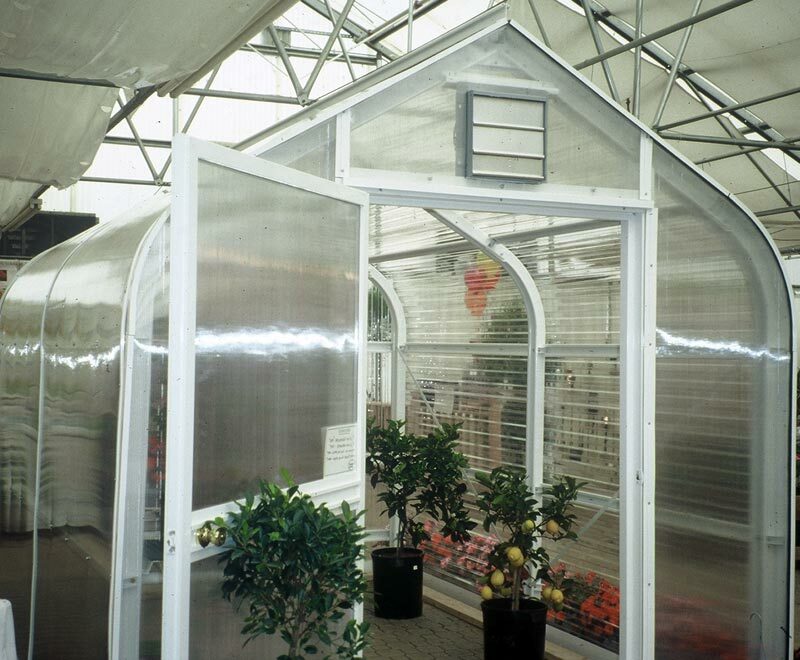 Above, we see a GreenMaster structure outfitted with corrugated polycarbonate coverings for an affordable hard covering option for your homegreenhouse.